Microsoft Studios chief Phil Spencer says new IP is critical and revealed that new games with the same "scale" as Halo is being developed. With this week's big news that Microsoft has acquired the Gears of War franchise from Epic Games, some fans got worried that Microsoft will bank on the third-person shooter and its other existing franchise instead of creating new brands. 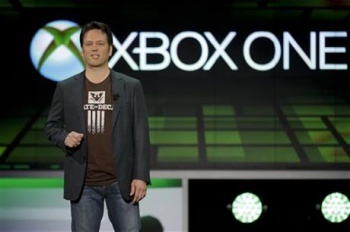 This won't be the case according to Microsoft Studios boss Phil Spencer who answered fan concerns and questions over on Twitter. In one conversation, Spencer claims "new IP is critical" and that he likes the new franchises the publisher has invested in so far. In another exchange, Spencer teases that we'll hopefully see "IP magic" like those we've seen from the first Halo and Gears of War. As you see more of Quantum Break, @SunsetOverdrive and unannounced hopefully you'll see new IP magic again. Another fan mentioned that the Xbox 360 had Fable, Halo, Gears of War and Forza as its flagship franchises, and asked if there's a "big one" coming in the future, to which Spencer states they have games in development with the same scale as those titles. I always hope everything we ship turns big of course. We have games in development with same scale and potential as those. While Microsoft developing unannounced games is not shocking news, it's comforting to know that it's not just banking on its existing library and willing to create new franchises of their own.